We used to use them many many years ago during my apprentiship to clean Rotring draughting ink pens, they worked very well. 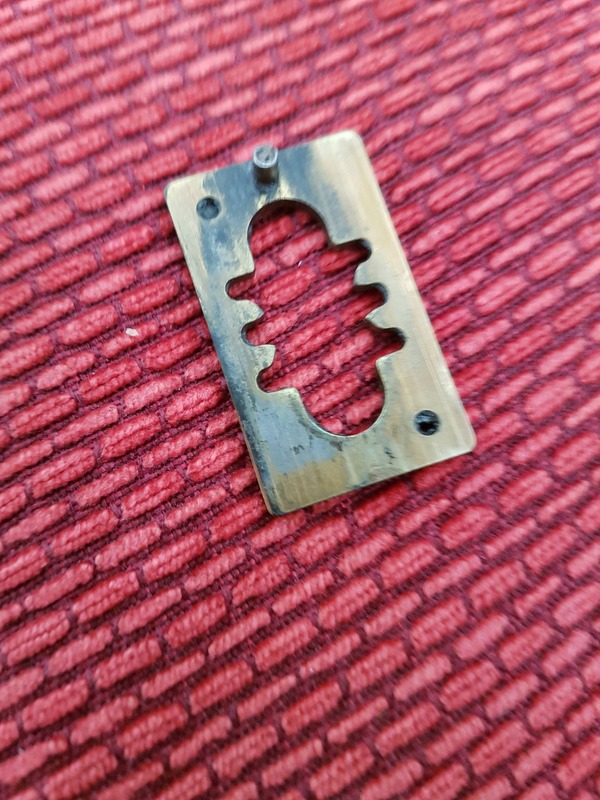 I know that they are also used for cleaning jewelry. Same as for cleaning an airbrush for instance. That's sounds interesting could do with one for that . Can you explain what your procedure is ? whatever you have to clean - make sure you use the right solvent. Put the solvent in a glass and drop the workpiece in it. Fill the ultrasonic bath with water and place the glass in. Solvent level within the glass should be roughly the same as the baths it is standing in. Dependent on the power of the ultrasonic bath the liquids become hot so don't leave it over night without checking from time to time. Thanks Christopher I will get one of those. There used to be a little Honda motorcycle called a CG125. It was very popular as a get to work bike and sold in huge numbers, but if laid up for the Winter with modern rubbish petrol in it a small drilling in the carburettor corroded and it was impossible to clean them. The only answer was a hugely expensive new carburettor! Then sonic baths came along...an absolute godsend. My wife has one at work that is not used at present and may never be. She told me my name is on it if it has to go. Fingers crossed. Just to update this thread . I did get an 2 ltr ultrasonic bath . It was only a cheapy but at only £12 in a January sale it was worth a go . There was some great advice on this thread about getting the right cleaning agent and the temperature etc. I have been testing it on my old junker 300s using an ultrasonic degreaser . Higher temperatures and longer times clearly work better so Far . No doubt these things work and the results can be fascinating. I can see clearly how some components are put together and seeing the wear on some reels is alarming. This one I could have seen with an ordinary clean though. Just look at the wear on one side of the axle where it has been rubbing on the slide holder and gouged it out . Ah, that is caused by big fish and a tight clutch! The spool tries to twist the axle in these circumstances and the result is the axle gouges the oscillating slide guide. Using a finger to brake the spool and not asking the clutch to do it all should avoid most of this kind of extreme wear. That said, anglers clearly like to let the clutch do the work as I am constantly asked to upgrade clutches to hold harder....but as you can see, .... there's always a trade-off. A bit like tuning an engine to go racing, you always pay the price somewhere down the road. The great thing about these reels is that both parts are still available, albeit secondhand, and cost pennies. Your image shown another Mitchell fault......water ingress. 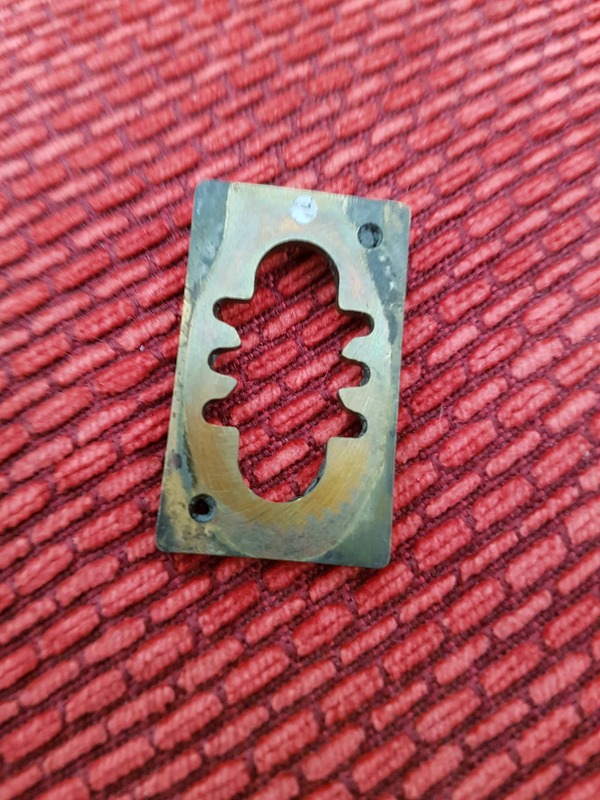 The front of the slide guide has some rust damage. Not serious at all in this case, but it shows where the water gets in......behind the rotor, just as line does sometimes. 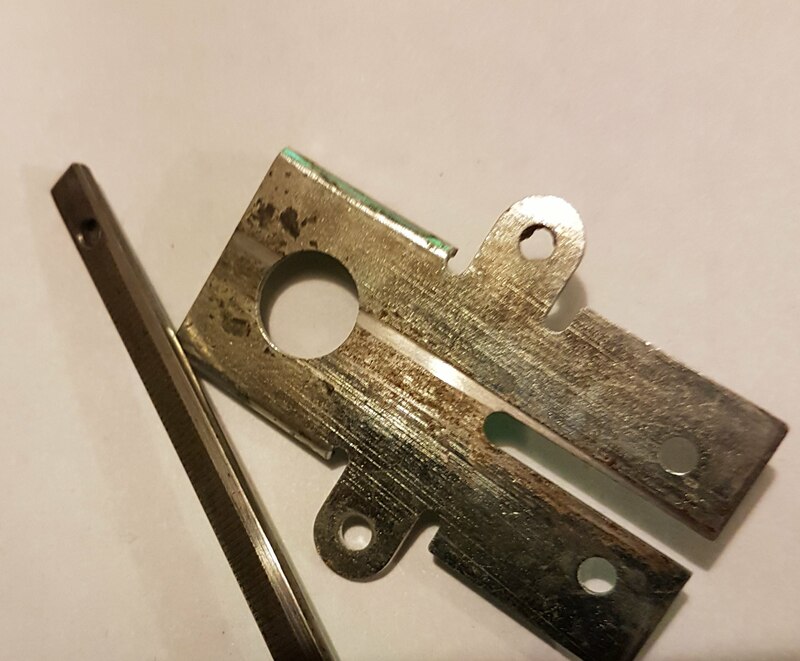 I've used a 300 in an absolute downpour and sure enough...the grease inside was turned into 'mayonnaise' the next day when I stripped the reel, as the gears churn the grease and water together into an emulsion. Interesting to hear how this wear happened and indeed how to prevent it . I fear you are right about the water ingress . This reel shows dramatic wear from use and the water ingress just confirms further someone really enjoyed this reel . Some of the grease has totally solidified in nooks and crannies . It is amazing how a clean and lube can improve the running . I had thought of this reel as a junker or parts reel but it's clearly seen a lot of action over the years . I don't think I will replace any of the parts on this one or indeed use it as a parts reel . I think this one deserves to live on and carry the wear and scars of the thousands of battles it has clearly had . There are a few odd things with this one . I have not seen anywhere near the amount if reels you have but the slide was also showing a funny colour . This is what happened to me so often...you buy a reel as a 'scrapper' but somehow you end up saving it because they really are pretty easy to fix. It took years to find really awful reels for spares consequently. Metal Mickey was more determined than me ( Mike Traynor) and managed to dismantle over 4000 reels! I am lacking in natural skills and understanding to ever be capable of modifications sadly . I would be content to do basic maintenance to make reels run Smoothly and to do basic repairs or like for like part swaps . Lacking in ability makes it even more wonderful seeing the skills demonstrated by some of you chaps here .